Well its youth little league All Star uniform season again and the pressure to perform miracles fast, on-time, done right, and most of all on budget is here. Precision Graphics has been performing these miracles for over 33 years and has continued to do so for many of little leagues across the country. Our well trained staff at Precision Graphics is extremely knowledgeable baseball uniforms and all the different kind of decorations that can be added to the uniform. 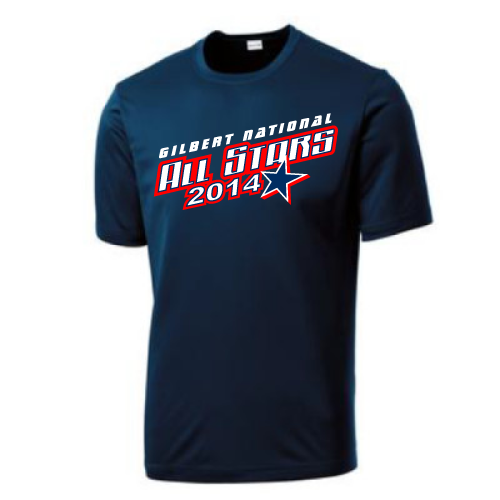 For example, adding tackle twill, screen printing, Vin-flex numbers, therm o-film, embroidery, digital printing, or having a fully sublimated jerseys are the entire thing to consider when making your leagues All Stars uniform. Price plays a big roll along with time to order, check stock for a specific style jersey, and then decorate your team’s uniforms. Once the jersey has been decided upon next is the hat and the same process and due diligence applies. Many teams like to also add the players name and number embroidered to each hat as this can be worn long after the games to signify that they were chosen to be on the All Star team for that age group and year. Coaching staff is just as important of a role in that there shirts should go great with the players jerseys. Coaches generally prefer a polo shirt with custom embroidery or a performance shirt with matching team logos. Precision Graphics has done these things, and has asked the right questions to help speed up this process to ensure your delivery date is met. Now for the process of ordering All Stars little league uniforms is a tight time frame that can mess this all up. That process is double checking to team manager’s spreadsheet to make sure that no player, coach is left off. Others steps taken are also spelling of the names if added to the jerseys and hats, sizes are correct, numbers added are correct, and the totals of the teams managers spreadsheet matches what we ordered. Just like in the game of baseball “errors will kill ya” and Precision Graphics takes all these factors into every All Star team’s uniform each season. Meeting the time deadlines from start to finish has it steps to ensure everything is correct but Precision Graphics also recognizes that this uniform more that the regular season uniform is very special for these players and coaches. A whole season of hard work and with extra flare to the All Star uniform makes this an experience that your will never forget. Wait! Don’t forget the parents and fans that helped the player to get to and from practices and games. Where is there supporting fan swag apparel? Precision Graphics has that covered with custom FREE online web pages for all the parent and fan apparel. These pages include league logo on many items, customization name and number on shirts, hats, sweatshirts, jackets, chairs, and custom embroidered All Stars baseball bags. By having this free tool your league can have a markup on these items to help offset the All Stars expense or not. This website will help in taking those orders, collecting the money and shipping is FREE; no more hassle in parent fan orders. Precision Graphics knows how to make this whole uniform experience from the regular season to All Stars season run smooth for any league.